If the thought of human interaction makes you nauseous, you are not alone! The world is full of introverts, like you, who find peace and joy in solitary confinement. However, there is the matter of having to leave home, to earn a living amongst chatterbox extroverts. If you are looking for some ways to earn money, from your quiet, cozy home, you are in the right place! Some of these jobs even allow you to leave home, but maintain minimal interaction with others. There are various kinds of introverts. Some prefer absolutely zero interaction with others, mostly due to anxiety. However many others can handle social situations better, but really prefer to be alone. If you fall into the latter category, these are some of the best careers for hermits. These jobs allow you to leave the house, but not have to interact with crowds of people. Court reporting, also known as stenography, is a great career for some introverts to consider. Court reporters create a record of depositions, committee meetings, court testimonies, and legislative sessions, among other live proceedings, word for word. As a stenographer you may find yourself surrounded by people, however, your interaction with them will be minimal. You will have to ask for repeats, when you don’t hear something clearly. Also, you will have to read statements back, from time to time, as requested. If you don’t mind a little bit of social interaction, are detail oriented, have an excellent vocabulary and grammar, you may want to look into becoming a certified court reporter. If cooking is your forte, why not make a little extra cash, by becoming someone’s personal chef? Some people just do not have the knack for cooking. Perhaps they don’t have the time. Or maybe they simply enjoy someone else’s cooking. This is when they hire their very own personal chef, to plan and prepare their meals, for them! Pending on what you and your client agree upon, social interaction with the outside world will be minimal. You may end up having to do some grocery shopping for all of your supplies. If the thought of meandering through the crowded store makes your tummy churn, consider using an in-store shopping service. Many stores have services that allow you to order online, and have your groceries delivered straight to your car! You will also have interaction with your client, and possibly even their family. All in all, if you have what it takes, becoming a personal chef is a pretty sweet gig. If you are skilled when it comes to baking, put your talents to use, and become an independent cake baker. Independent cake bakers generally work from the comfort of their very own kitchens. Unless you plan on getting your name out there by attending a community vendor fair, the only time you will have to see people is when you drop off your beautiful, and delicious creation. And sometimes, beforehand, during the planning process. Bake a few cakes. Decorate. Post pictures on social media. That is really about all that it takes to get your name out there, and before you know it you will be making some side money by baking cakes for friends, friends of friends, and random strangers who love what they see. Not a baker? No worries! There are plenty of cheap, simple classes you can attend at local craft stores. Maybe even have a baking day with a friend, to learn some of their tricks, and practice, practice, practice. You may have some hidden talents in you! You’re either a dog person, or you’re not. If you get excited at the site of a furry, little pooch wagging its tail, chances are that you may enjoy becoming a professional dog walker. Dog walkers work independently, and can take on as many clients that they can handle. You choose when you are available, how much to charge, and which tasks you want to do. You do not have to settle with just walking dogs. If you are up to it you can offer dog sitting services, as well as boarding services for people who go out of town, or just need someone to care for their precious pup while they are at work. Try creating a profile on Rover, to get started, or use social media, and word of mouth to let your friends and neighborhood know what you are available for. You can even put an ad in the classifieds. 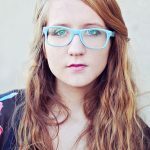 House sitting is the ultimate dream job for introverts! What could be better than sitting in a quiet house, all to yourself? As a house sitter, you may have different responsibilities from water plants, bringing the mail in, and maybe even taking care of family pets. Pay may be negotiable, and you are hired on an as-needed basis. The length of the job varies, pending on how long your client will be gone. You may just be needed for a single overnight, whereas other times you may be asked to house sit for weeks at a time. If you are honest, responsible, and eager to get started on the introvert’s dream job check out Housesitter.com, or spread the word by mouth. Tell all of your friends that you are available, and ready to start house sitting today. You may be wondering how a photographer would make a good job for an introvert, as you are frequently posing your customers, and sharing tidbits of your lives with one another, making small talk. However, not all photography has to include people. Photographers shoot a variety of different forms, from people and animals, to nature and abstract art. As a photographer, who is also an introvert, consider shooting strictly nature and/or animals. There is beauty all around you. Use it to your advantage and become an independent photographer today. What are you waiting for? Do you have a green thumb? Do you find it soothing to garden? If so, should put your talents to use, and become a personal gardener. Many people simply do not have a knack for gardening. That is when it comes in handy to hire a personal gardener. As a personal gardener, you will be responsible for keeping up with your client’s gardens, flower beds, and other plants. You can determine your own rate of pay, as well as when you are available. Introverts all over the world are successful in earning money without ever having to leave their humble abode. If you think maybe it’s time for you to do the same, here are some great resources. 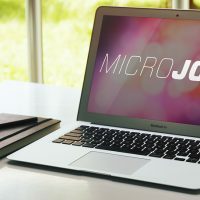 These jobs will give you the opportunity to earn money, without ever having to leave the comfort of your cozy home, or jammies, for that matter! Becoming a virtual bookkeeper is something that you can do from home, and you don’t even need to be a CPA to do it. The 3 part training sessions offered by BookKeeper will get you a great start on becoming a virtual bookkeeper, for free! Simply use your computer knowledge and your drive to help others to begin a profitable career from home! Survey sites are the perfect way to make a little extra cash without having to leave the front door! There are numerous survey sites out there to apply for. Many sites only accept new surveyors at particular times of the year. They can also be picky on who they accept, pending their demographics, and other personal info. One of the best ways to make the most money from these sites is to apply for as many as you can. Once accepted, you can do as many as you want, whenever you want to. Fill them out while you are waiting for dinner to come out of the oven. Do them late at night, after the kiddos are in bed. You can even fill them out while you are in the bathroom! Be sure to check out SurveyJunkie, i-Say, and MySurvey. If you love taking pictures, but don’t own a fancy, expensive camera, don’t let that stop you from becoming a photographer, and selling your work! Foap is an app that is available for both iPhone and Android phones. Once downloaded, the app allows you to upload your photos, and then sell them for money. One of the best things about Foap is that you are able to sell the same photo numerous times. 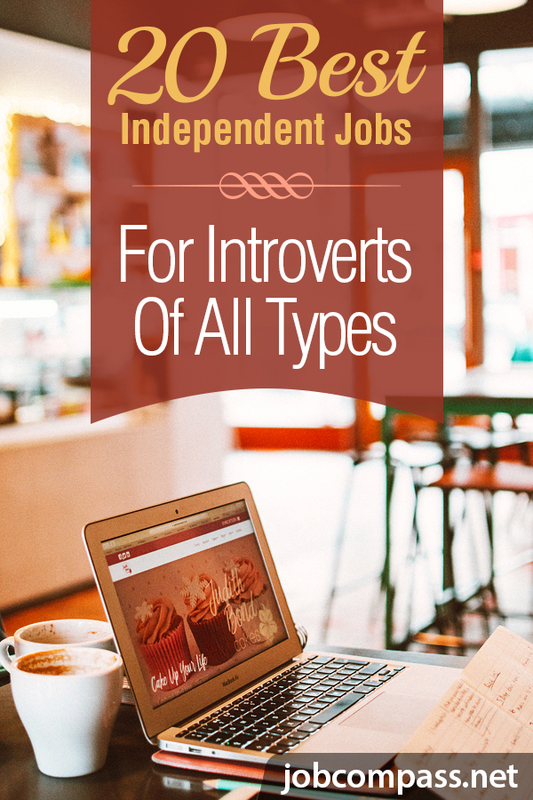 Freelance writing is one of the best job opportunities for an introvert. Freelancing can be done from almost anywhere you have an internet connection. Your home included! There are a variety of different freelancing jobs, such as writing articles, or blogs. You can even create your own blog! Pay varies based upon a number of things, such as your experience, the length of your task and what exactly you are writing. If writing is your thing, be sure to check out WordPress, GoDaddy, and BlueHost to get you started in your exciting writing adventures! Are you crafty? A wonderful way to make a little extra dough, as an introvert, is to sell your own creations. Turn your hobby into a job! Create your own products. Work when you want to. Determine your own prices. Sell! It really is that easy! The best part about selling your own products is that it is super fun, and you are your own boss. There a number of places for you to sell your creations, but one of the most popular sites is Etsy. If you love to read, you are absolutely going to love this job! There are a variety of different places where you can sign up to become a book reviewer. Being a book reviewer is amazing for a few different reasons. First of all, if reading is a hobby of yours, it’s not like you have to go out of your way to do something you don’t already enjoy. Second, you get paid! That’s right, you get paid for doing a beloved hobby. And lastly, you get free books! If this sounds like something you may enjoy, check out The US Review. There are all sorts of transcription jobs available, from medical and general transcription, to just general transcription. Basically, what you would be doing as a transcriptionist is converting audio files into written text. Many transcriptionist jobs are freelance jobs. This means that you can work when it is convenient for you. TranscribeMe! is one of the many sites available to look for transcribing jobs. The following are some of an introvert’s favorite ways to earn money. You likely will not be rolling in the dough, by doing these, but they are effortless ways to help you make extra money. After all, every little bit counts, right? Simply head over to HealthyWage and decide how much weight you wish to lose, as well as what kind of time frame. If you are successful, you can earn money! SavvyConnect is an app that you can download, and it will collect data from your phone. For each month you have it on your phone, you will earn money! Go through your home and start downsizing. List anything you no longer need or use on sites like letgo. Earn points that you can exchange for gift cards or cash, simply by watching random videos through Swagbucks. Ibotta is a wonderful app that you can download to your phone. Simply browse through available rebates, add them to your account, and go shopping! Once you’ve purchased your items, scan both the barcodes and receipts, and wait for the money to be added to your account! Many banks offer incentives for opening new accounts. You generally have to either have a minimum amount of money sitting in your account for a certain time frame, or have at least 6 or so direct deposits, within the first two months of opening your account. It’s easy money, and all you have to do is switch banks! Sometimes it isn’t easy being an introvert, but hopefully, this list has given you some great job ideas.